As the name suggests, large lima beans are a supersized version of the pale green legume. Up to an inch long, they have a mild flavor and creamy, buttery texture. Lima beans pack a nutritious punch, as well. One 1/2-cup serving provides 5 grams of fiber and 6 grams of protein with no fat or cholesterol. Preparing them in your slow cooker instead of purchasing canned varieties also allows you to control the sodium levels. Lima beans are an appealing side dish, especially when mixed with corn and tomatoes to create a flavorful succotash. They can also be used as a base for a satisfying salad. Add chopped raw vegetables and toss with your favorite dressing for a quick, healthy meal. Sort through the beans and remove any debris or broken beans. 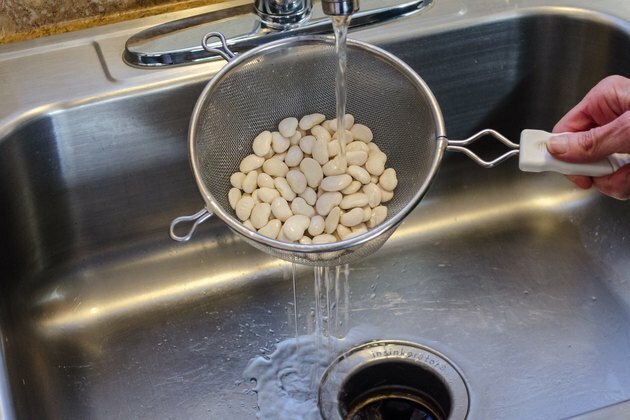 Rinse the beans through a colander under cold, running water. 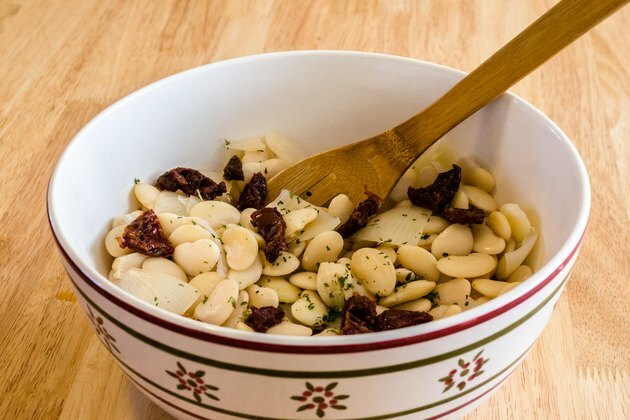 Soak the beans to reduce indigestion and speed up the cooking process. 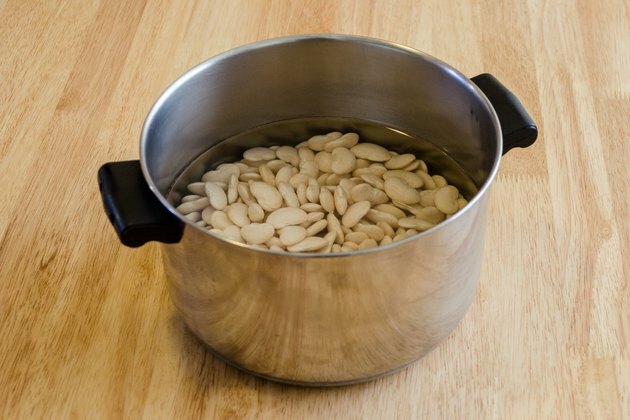 Place the beans in a large bowl and cover with 3 inches of cold water. Allow them to soak at room temperature for at least 8 hours. 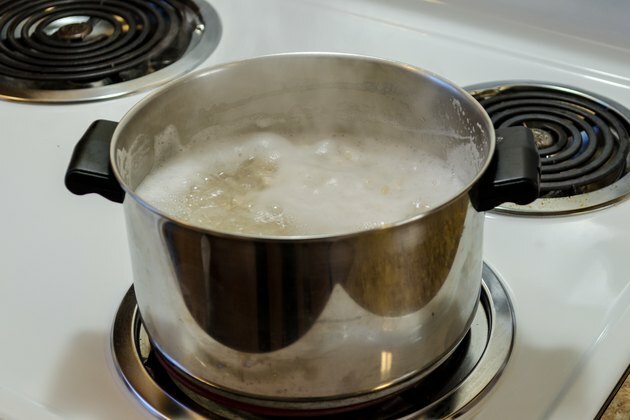 Speed up the soaking process by quickly boiling the beans first, if you are in a hurry. Put the beans in a large pot and cover with 3 inches of cold water. Bring to a boil and allow the beans to boil for 3 minutes before removing from heat. Cover the beans and allow them to soak at room temperature for 1 hour. 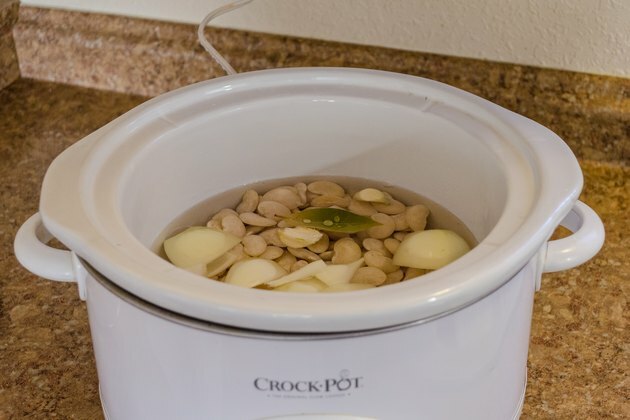 Drain the beans of their soaking water and transfer them to your slow cooker. If you wish, toss in aromatics to flavor the beans. Quartered onions, bay leaves and whole cloves of garlic all add flavor. Pour enough water in the slow cooker to cover the beans by 2 inches. 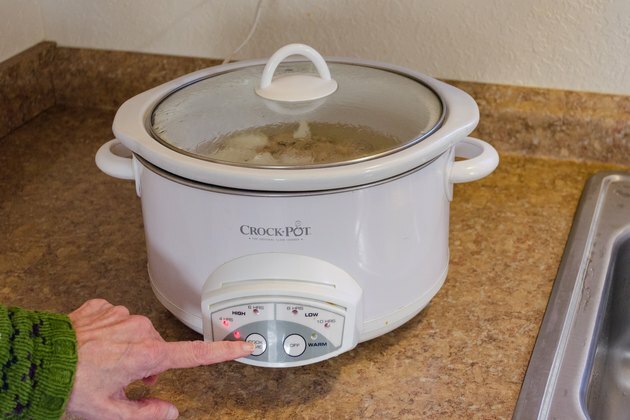 Cover the slow cooker and set to High. Allow the beans to cook for 2 hours, or until they are tender enough for you liking. Season with salt and pepper to taste before serving.